Charlie’s Café is a cafe that is like no other. Start with a chef that has been culinary school trained and takes great pride in all that he creates. 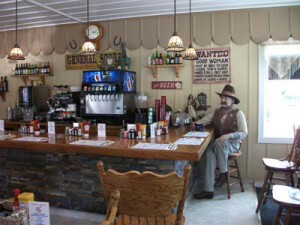 All their food from hand cut rib-eye steaks, thick-sliced ham, linguica, fresh cooked breakfast potatoes, to award winning biscuits & gravy, malted waffles, pancakes, burgers, hot & cold sandwiches, fresh grilled chicken, homemade soups and fresh salads, are prepared daily so every ingredient is of the highest quality. The coffee is freshly ground and they serve local wine and ice cold beer. So come by and say “Hi” to Charlie and hang out where the locals like to come.